This page contains details of my career in Electronic Engineering, including awards won. 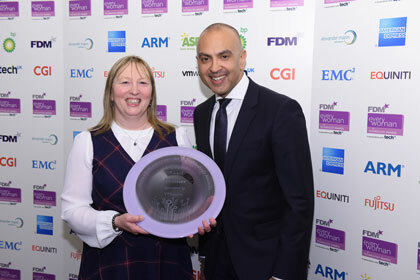 I won the Everywoman Inspiration Award sponsored by VMware. This is awarded to an individual, male or female, for their active committment to encouraging, advancing, sponsoring or championing the progress of women working in technology. This medal is awarded to a Women’s Engineering Society (WES) member who has made an outstanding and sustained contribution to the WES over a number of years and gone above and beyond the call of duty. This is conferred to "Outstanding Women Professionals who have the vision, flair, acumen and professionalism to demonstrate excellent leadership and management skills in an organization, making changes and achieving results". Algotronix was named as the winner of the Emerging Technology Company at the NMI award ceremony on 6 November 2008 for the DesignTag product. I was the first winner of the Student Engineer of the Year category at the Elektra European Electronics Industry Awards held in London on the 12 December 2007. 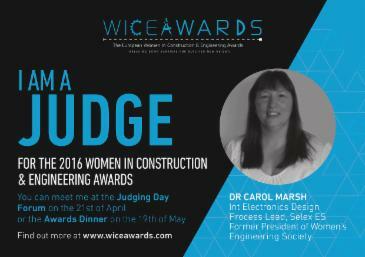 2008 Jan, iSLI Research Engineer Wins “Student Engineer of the Year Award, "Electronic Specifier"
I manage the "Doris Gray Awards" and "Lady Finniston Awards"
I joined STEMNET in 2007 and since then I have been a judge at the “F1 in Schools” challenge and GO4SET events.